Since the last update, things have been steadily progressing with the Black Cloud team in Kenyir. After a month’s rest since the first round of data retrieval, we have been visiting the cameras again, making the journey in a record total of just 3 weeks this time. The trails are more familiar and we’ve managed to work out new routes so things have been running smoothly! 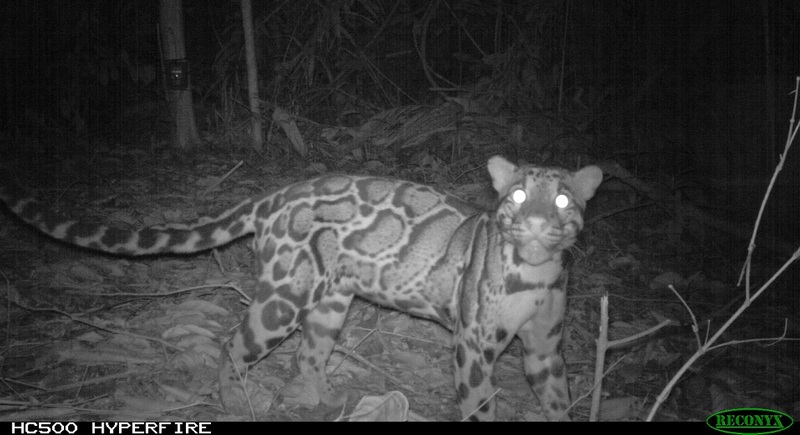 In our first round of camera retrieval we unearthed a fantastic insight into the forests of Kenyir, identifying Leopard and Clouded Leopard individuals. In this latest round, we’ve found more Leopard individuals and plenty of repeat detections for both species! We also believe the Leopards are a breeding population – this is another first for Kenyir. In addition, we’ve recorded scent-marking Leopards spraying on our cameras, including one individual that interestingly sprayed at the same site as a Tiger! 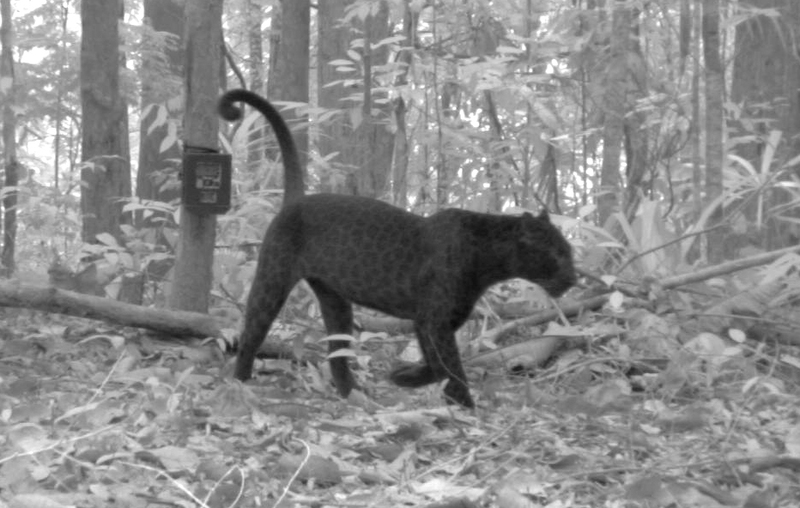 These are great indications that Kenyir is forming at least part of some Leopards’ stable home ranges, as opposed to an area that individuals are just moving through. 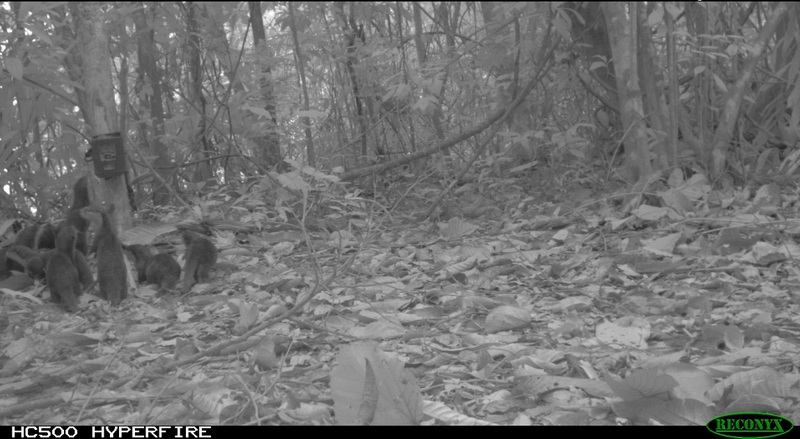 Another fascinating piece of behaviour has also been glimpsed, with a Leopard apparently stalking a Tapir at night (the Asian Tapir walked in front of the camera, closely followed by the Leopard 2 minutes later). However, it’s far from clear if the Leopard would have made a meal of this individual, since it’s still unknown whether even Malayan Tigers (who are bigger than Leopards) include Tapirs as part of their diet. Other species have made reappearances including Dhole, Gaur and Sambar Deer. New species have been popping up such as a Blyth’s Hawk-eagle (Nisaetus alboniger) that decided to dance around in front of the camera for several minutes. A family of otters was detected across several cameras (another first) – interestingly, sometimes high up on a ridge relatively far from any water source. For this reason we hypothesise they were making a migration from one stream to another one. Unfortunately, still more encroachers have been detected from our cameras and encountered in the forest, which paints a rather worrying picture for all this wildlife. However, it’s now time to take another break before heading back into the forests to pull out all our cameras (hopefully) before the rainy season gets well underway. We’ll keep you posted with all our results here at BC! I wonder how the animal can be so curious with the camera trap? ; ) I love the otter..